Best Facial Cleansers for Your Skin Type. If you cleanse your face religiously, but it seems that your skin is still problematic, then it seems that something's wrong. In many cases our complexion might suffer due to the inappropriate beauty products. Learn how to maintain your skin nourished and conditioned with the best facial cleanser for your skin type. Cleansing your pores from dirt and other harmful agents is the primary phase in a proper beauty care routine. Though usually there's no problem with the regularity still our skin might send some warning signs that the chemical composition we treat it with might not be the best one. Then it is highly recommended to take action and choose the cleanser that was specially designed for our skin type. Besides eliminating the dirt and other harmful residues from our skin, cleansers aim to protect and at the same time improve the condition of the skin. The best way to avoid the appearance of unfortunate and more severe skin problems is to choose facial cleansers for different skin types. It's an accepted fact that oily skin is more prone to acne and other skin problems due to the enlarged pores. Indeed the dirt can more easily penetrate into the tiny open gateways especially when our skin lacks any protection. Cleansers specially designed for oily skin efficiently remove both the oil excess and keep the pores free from any damaging factors. However these cleansers will not dehydrate the pores to an extent that it will deteriorate. Due to their complex formula these products have the ability to remove only the oil excess and not the natural moisture produces by the sebaceous glands. In order to do a huge favor to our complexion it is advisable to purchase gentle and oil-free cleansers with a water-based formula. Liquid cleansers as well as bar soaps will have the same soothing and purifying effect. 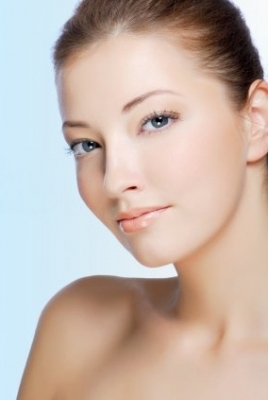 A dry complexion is characterized by tiny and narrow pores. That's why there's no need for a deep cleansing effect as in case of oily skin. The main aim of the product should be indeed to prevent the dehydration and properly condition the skin tissues.If you see flaky and dry patches all over the place, then it's time to change the products you generally use during the basic skin care routine. It is also equally important to remove the dirt from the pores, however no doubt that the key to keep dry complexions spotless is nourishing. Vitamins as A,C, and E have the ability to enhance the conditioning of the skin. Make sure you purchase products that help the skin rather to maintain its natural moisture rather than wiping it off exposing the pores to extreme conditions. Use either a cleanser with low-alcohol content or a mild soap. Combination skin is undoubtedly more problematic since you have to deal with the oily areas and dry patches separately. Caring for the T-zone is one of the chief steps towards having a naturally glowing skin. Besides the cleansers specially designed for your skin type it is worth considering the use of two different products on the different spots. It is more than recommended to wash the T-zone area which is generally more oily with a glycerin-based cleanser. This will efficiently manipulate the functioning of the sebaceous glands and reduces the hyper-production of oil. On the other hand the dry areas should be treated with an alcohol-free purifier to prevent the flaky parts. Cleansers that contain Aloe Vera and chamomile are the perfect option to furnish our skin with the necessary nutrient. Those who have sensitive skin should pay extra attention when choosing facial cleansers. It's not enough that the cleanser eliminates the dirt from the pores it must at the same time condition and increase the resistance of the skin to deteriorating factors. In order to find the perfect combo go for cleansers that are mild and cream-based. Be careful to go for odor-free compositions. It is a well-known fact that thus complexion type is more prone to allergic reactions and irritation. Glycerin can be the main element of the best cleansers for sensitive skin. However you'll reduce its slightly harsh effect if you choose cleansers that contain organic ingredients as lavender or olive oil. Make sure to choose a cleanser that ensured the long-lasting protection to your skin.